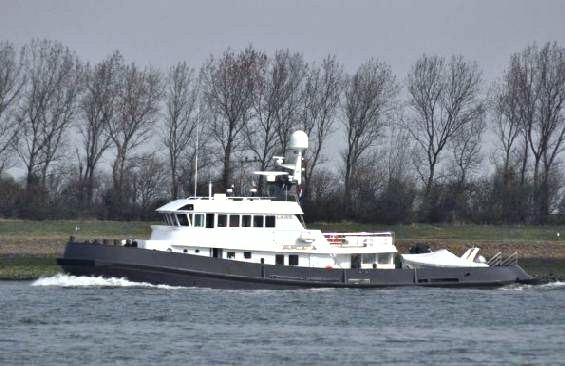 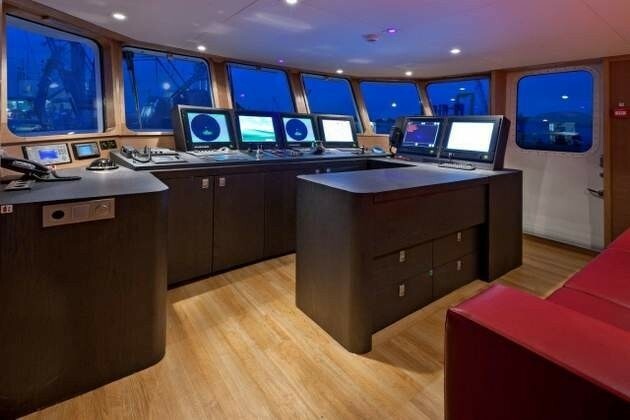 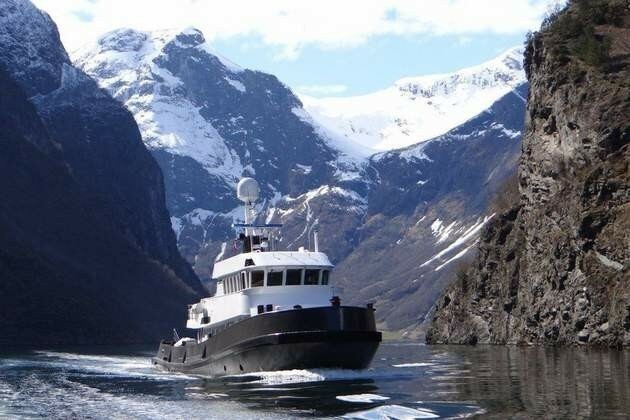 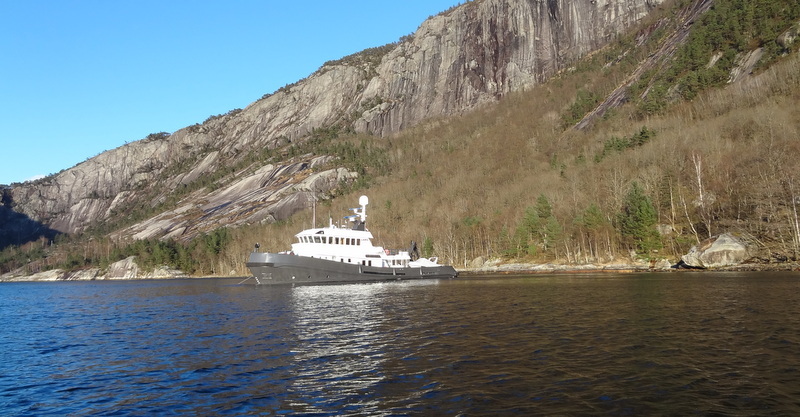 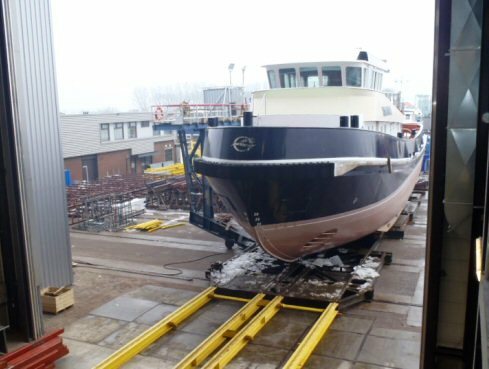 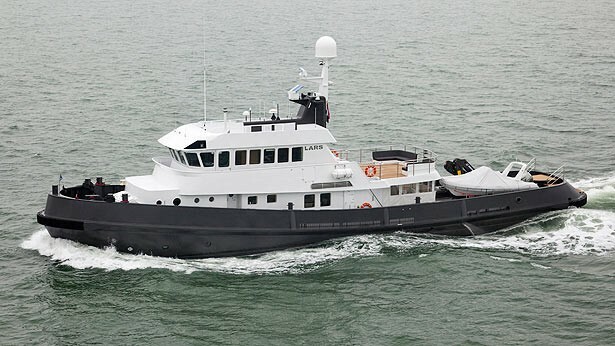 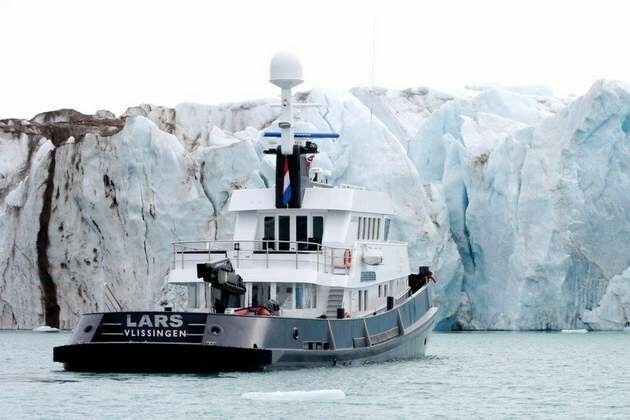 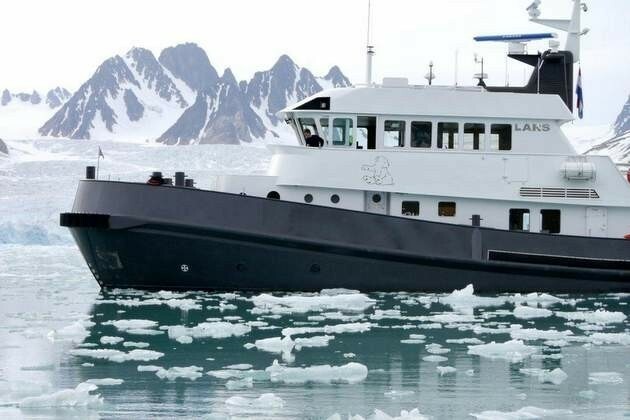 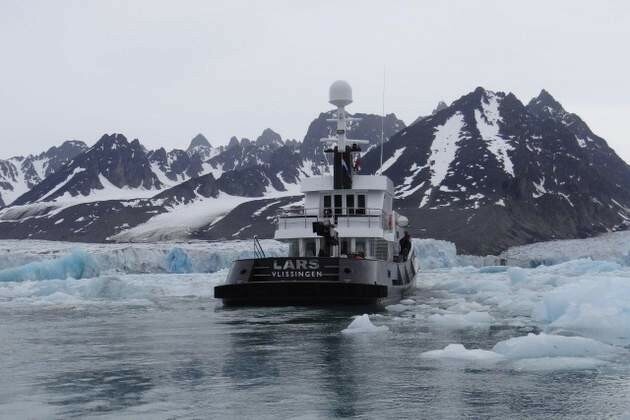 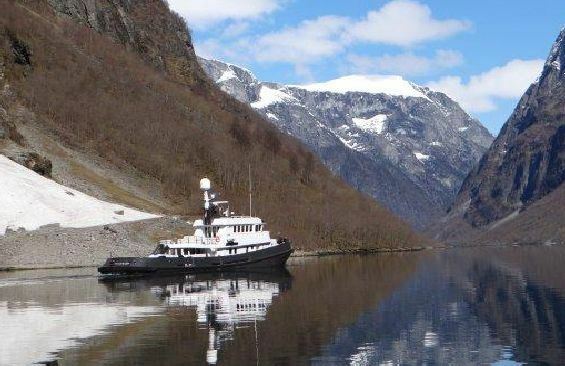 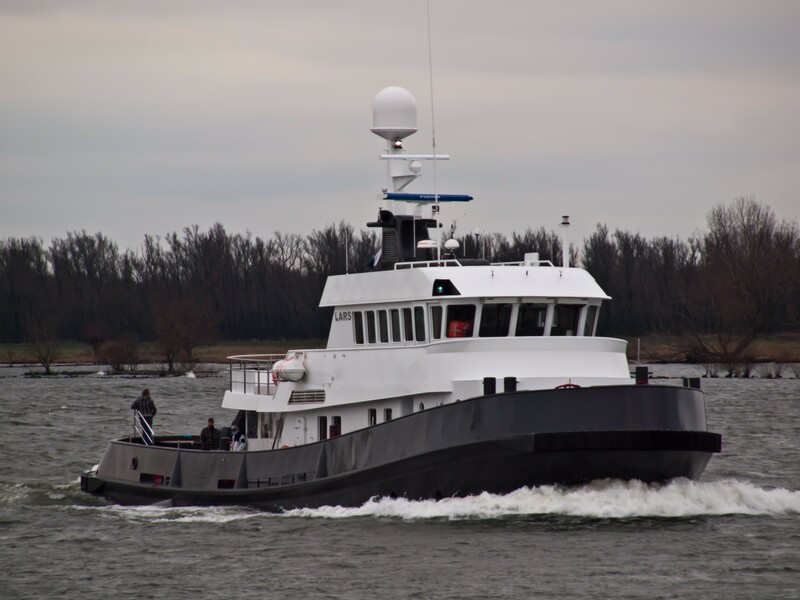 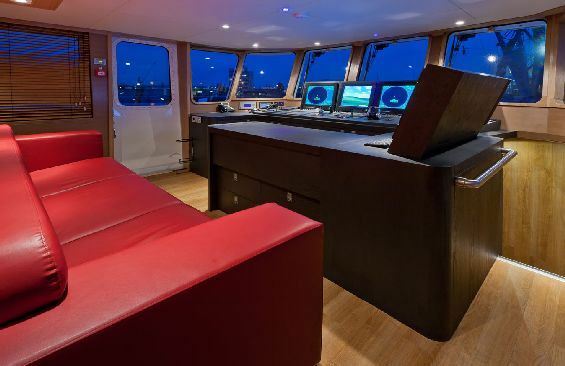 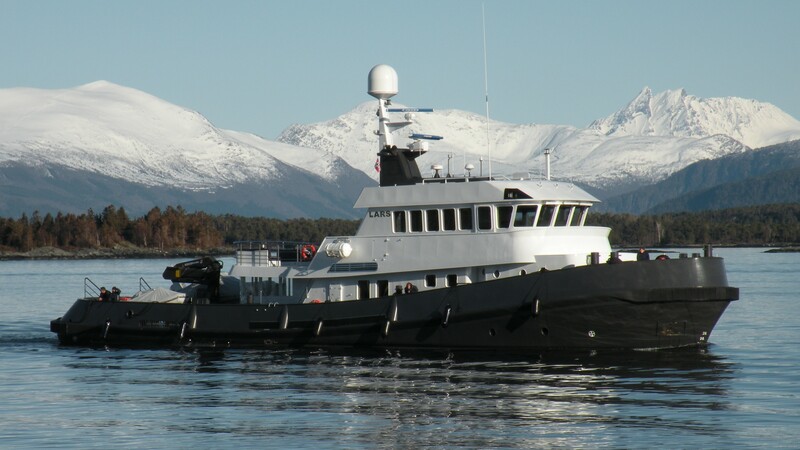 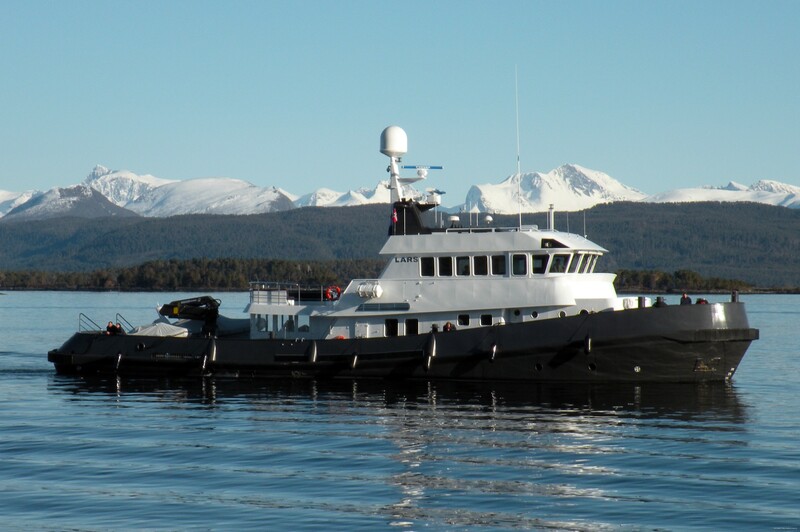 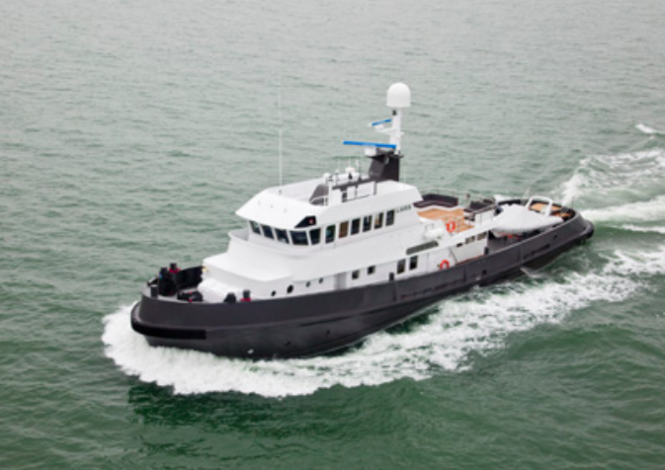 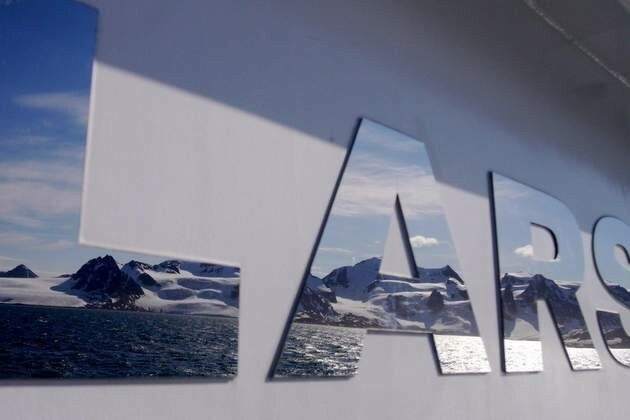 The 36.4m (119´) motor yacht LARS is a beautiful ice-classed explorer, converted into a luxury vessel from a tug boat in 1995, and subsequently re-launched in 2012 by Balk Shipyard. 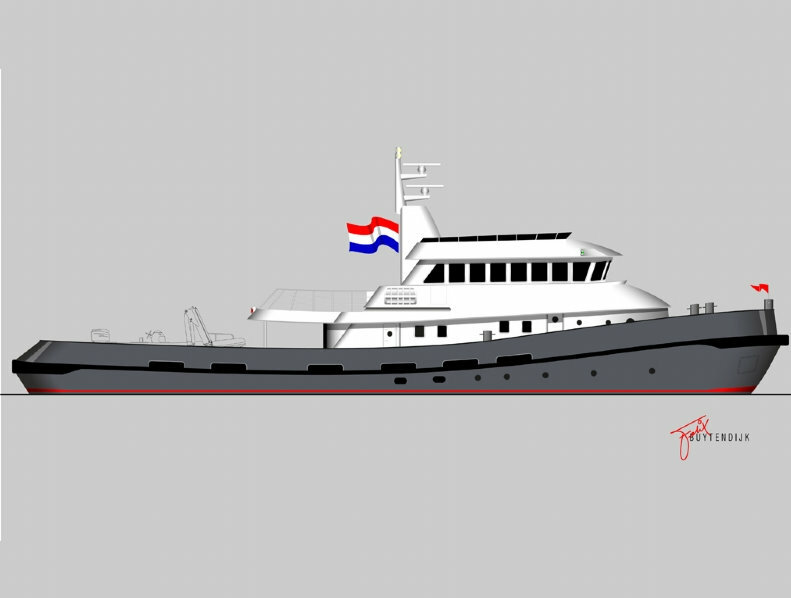 The Lars superyacht is designed by Felix Buytendijk Yacht Design. 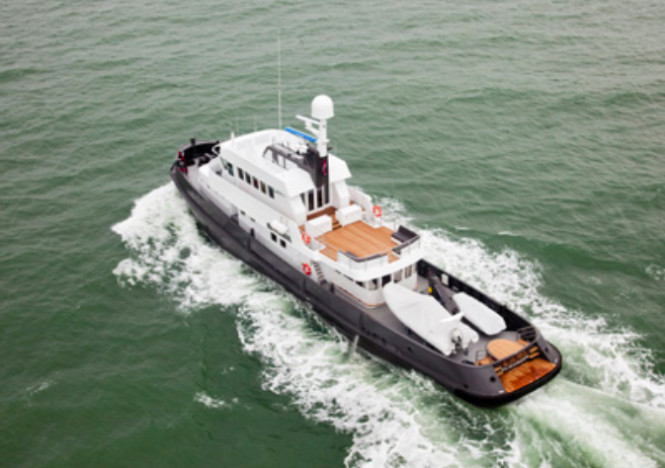 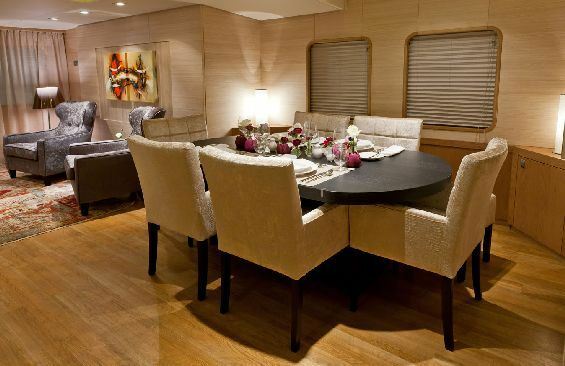 Balk superyacht Lars easily accommodates 8 guests in 4 luxurious cabins. 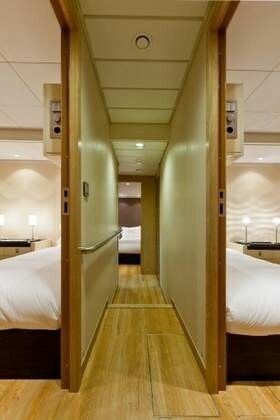 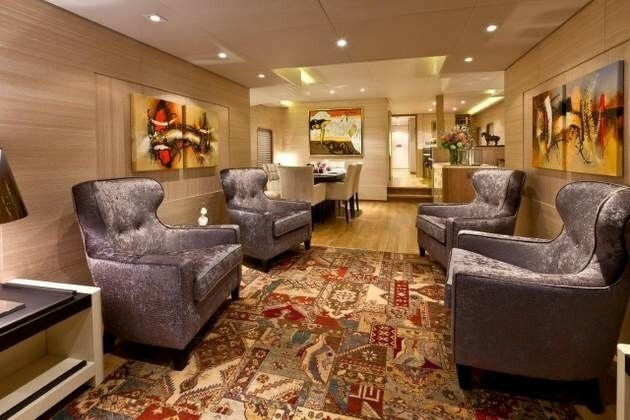 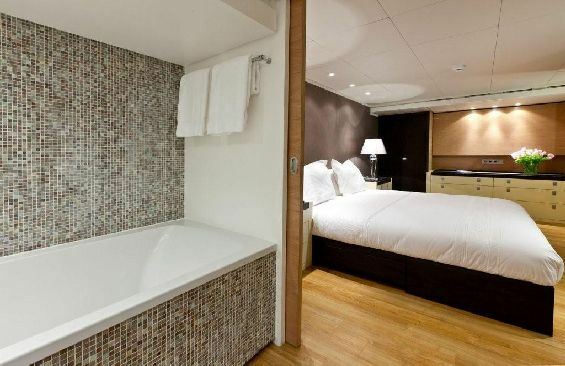 These include a master stateroom as well as three guest cabins. 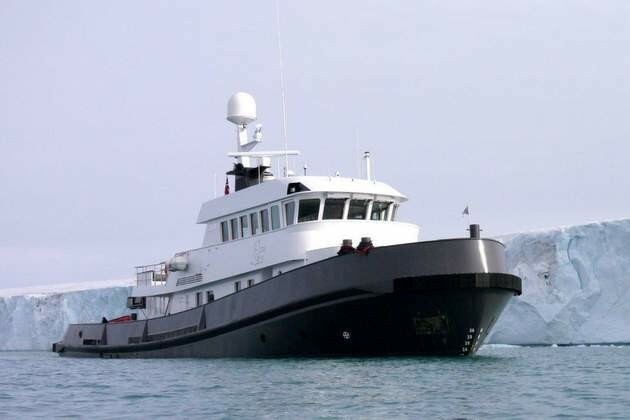 She is managed by an impeccable crew of 5. 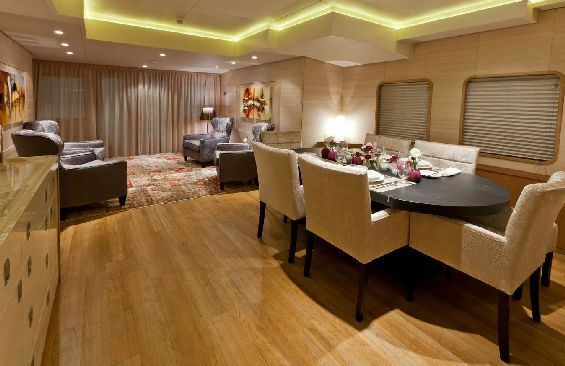 Lars also offers dining area, fitness area, lounge and saloon. 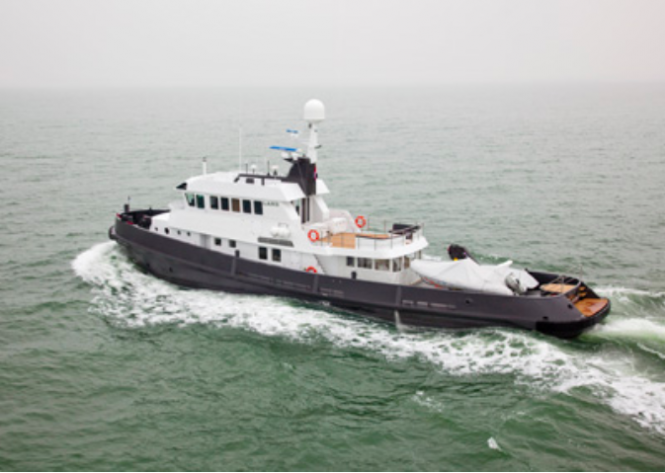 Boasting a steel hull and aluminium superstructure, the 36.4m luxury yacht Lars is powered by twin Caterpillar 3512C diesels, achieving a top speed of 13 knots and a comfortable cruising speed of 10 knots. 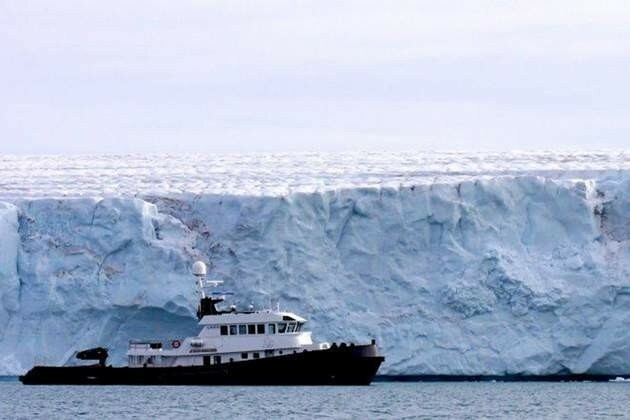 Her beam is of 7.8m (25´59´´) and a maximum draught is of 2.8m (9´19´´). 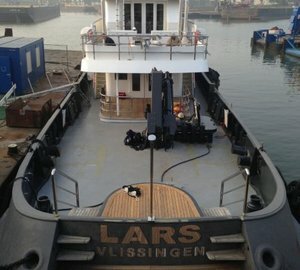 Lars is Bureau Veritas as well as MCA classed. 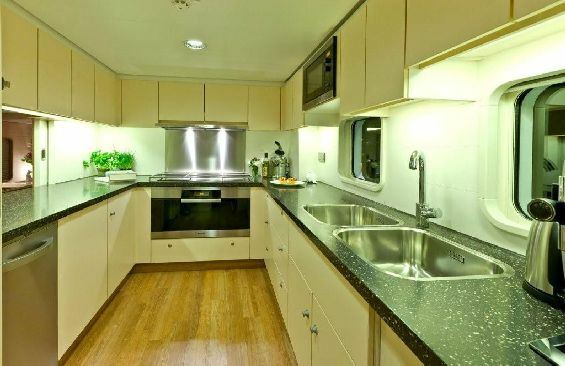 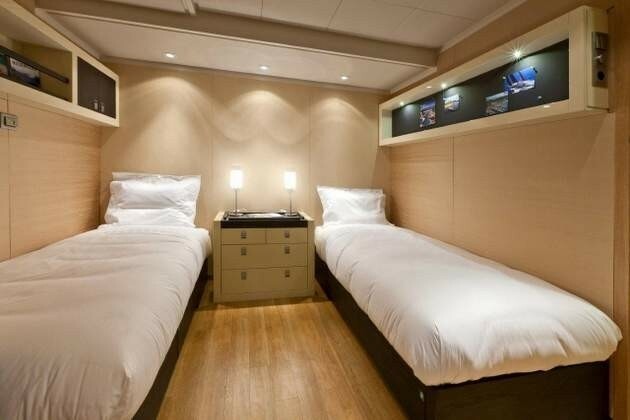 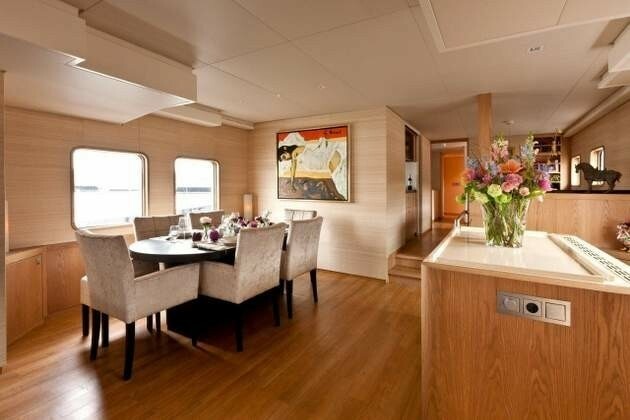 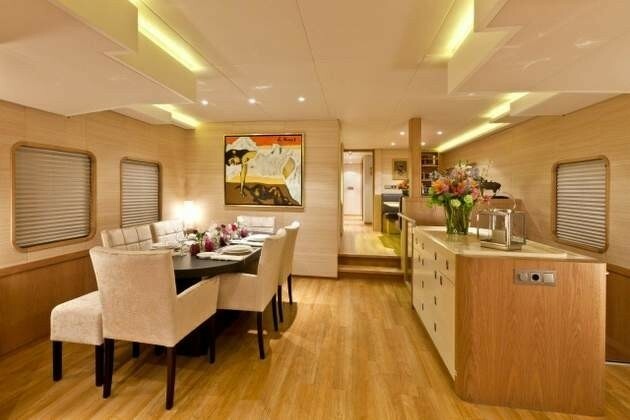 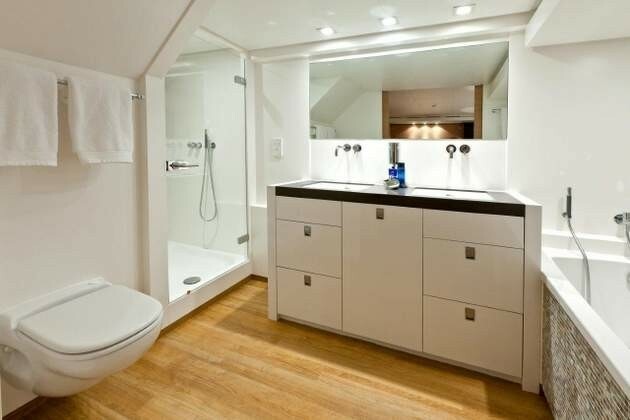 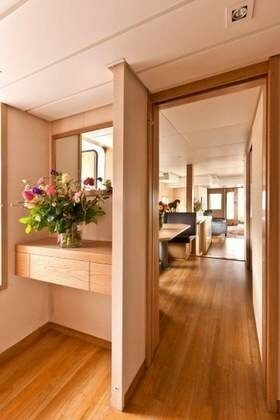 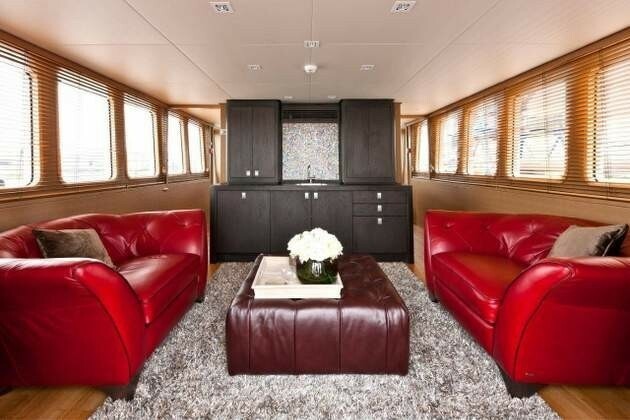 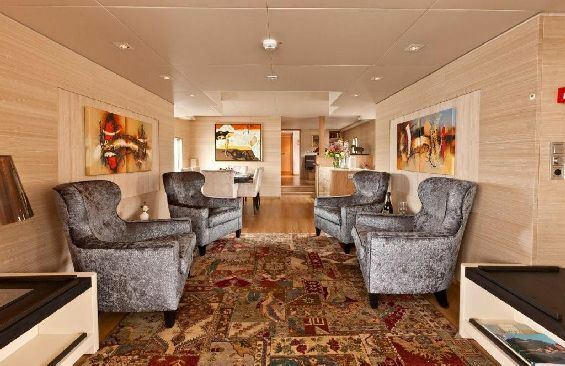 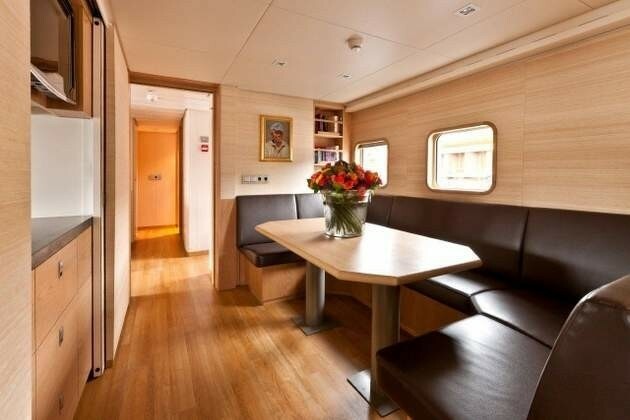 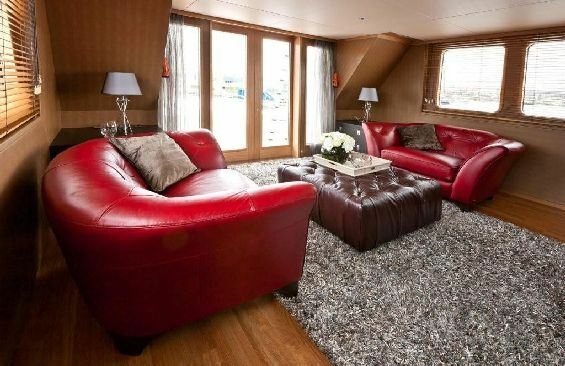 The 36.4m luxury yacht Lars comfortably sleeps 8 guests in 4 lovely cabins. 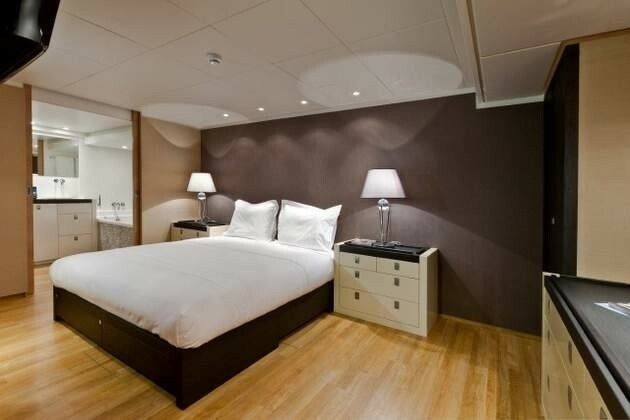 These include a master stateroom as well as three guest cabins. 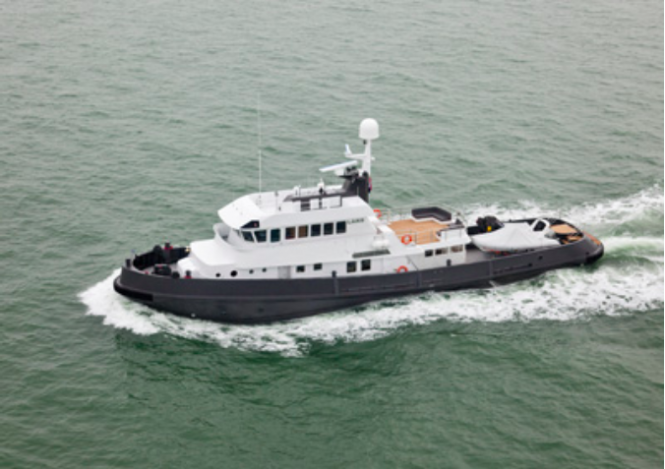 She is managed by a dedicated crew of 5 professionals. 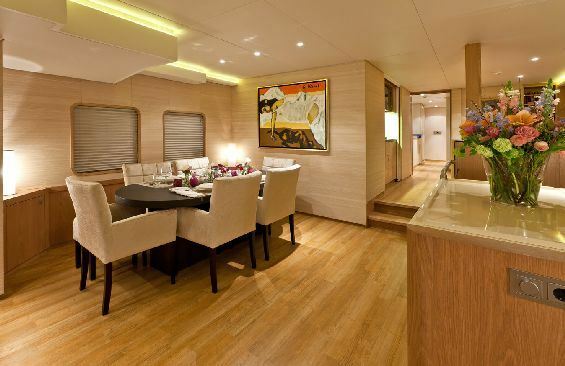 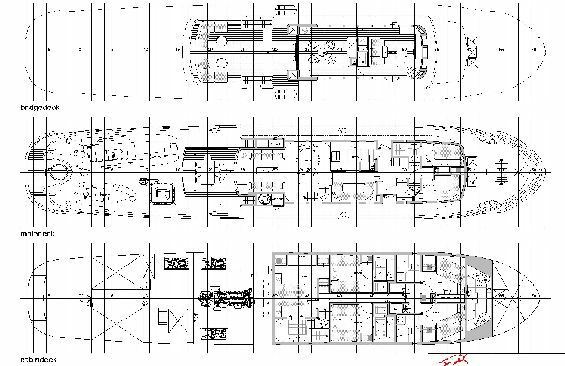 Lars also provides dining area, fitness area, lounge and saloon.